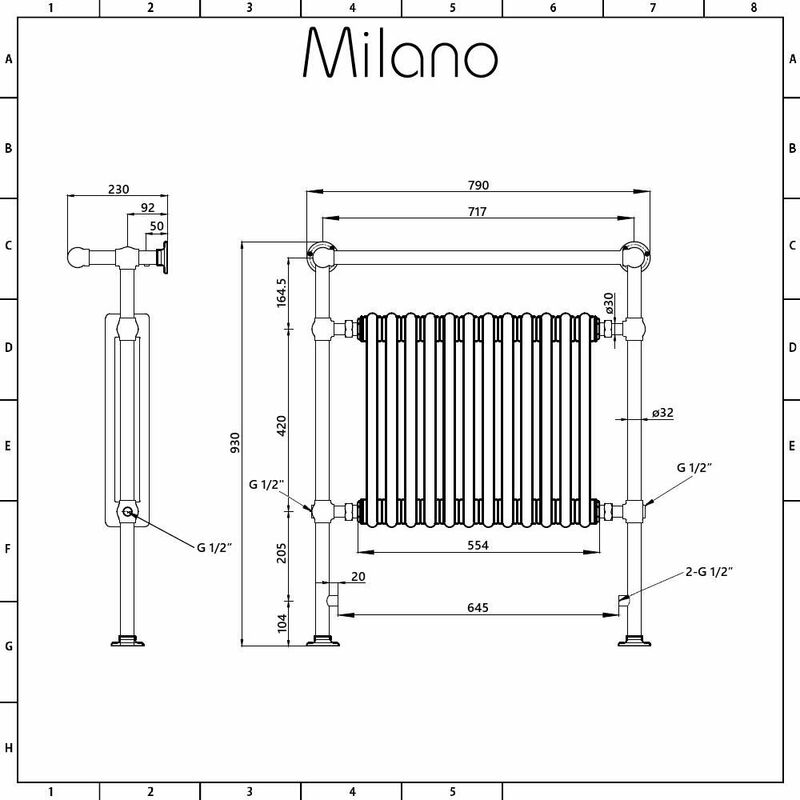 The Milano Trent 930mm x 790mm traditional towel radiator combines a bold black finish with a design that’s timeless and elegant, creating a stunning stand-out feature for your bathroom. 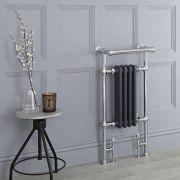 This towel radiator with overhanging rail produces a superb hourly heat output to ensure your bathroom and towels are made to feel luxuriously warm in no time whenever your central heating is switched on. The perfect choice for your traditional bathroom, the Trent towel radiator has been made from premium quality steel, so you can be assured of durability and high performance. 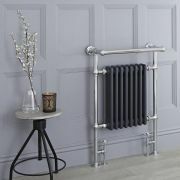 As the pipe inlets for this traditional towel radiator are positioned perpendicular to the brass frame you do not have to worry about which type of valve you need. 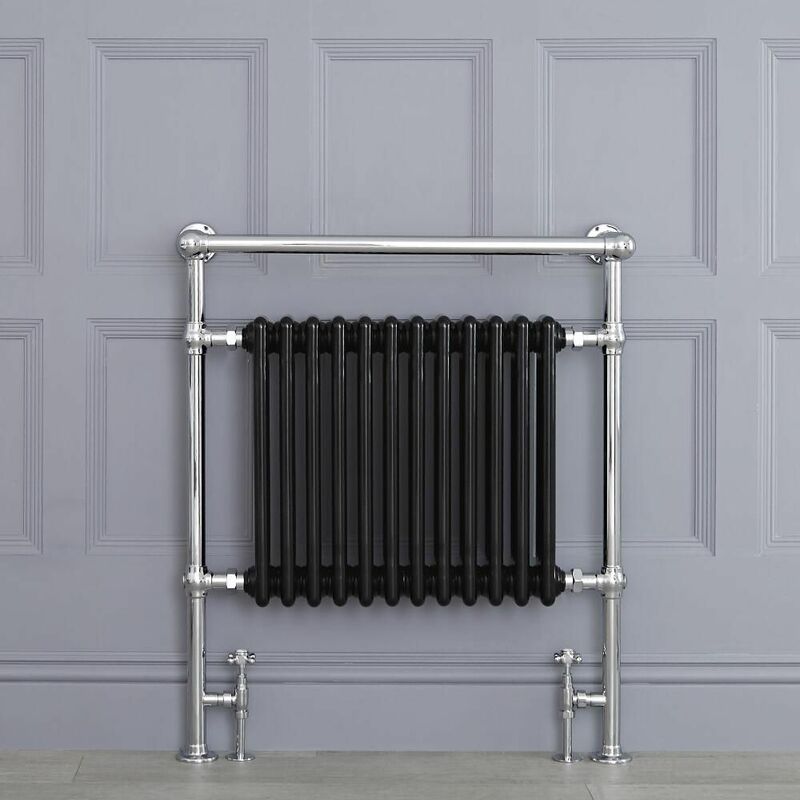 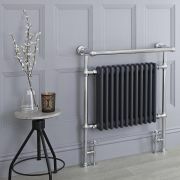 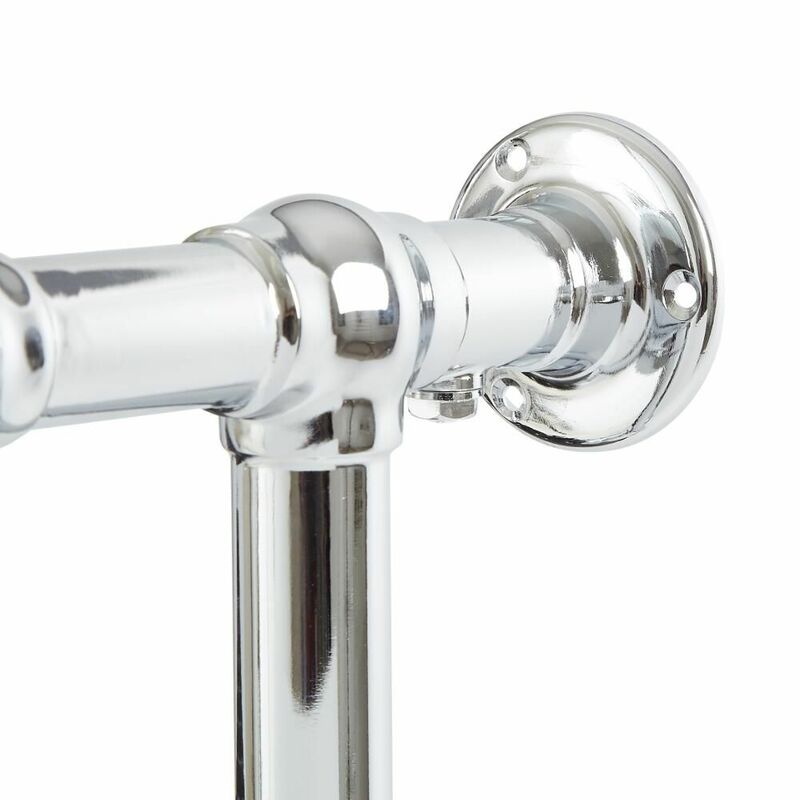 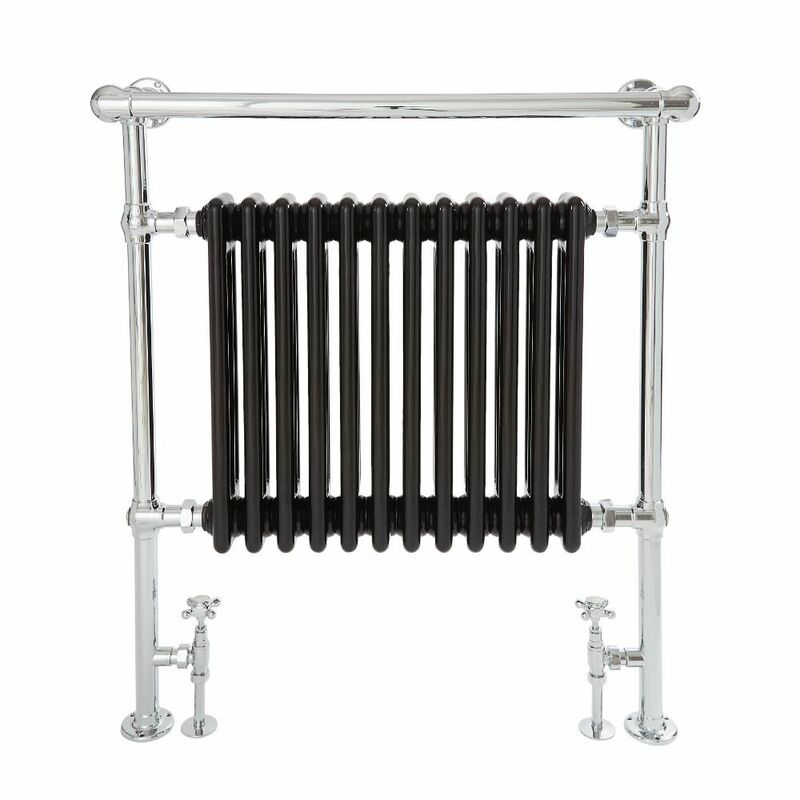 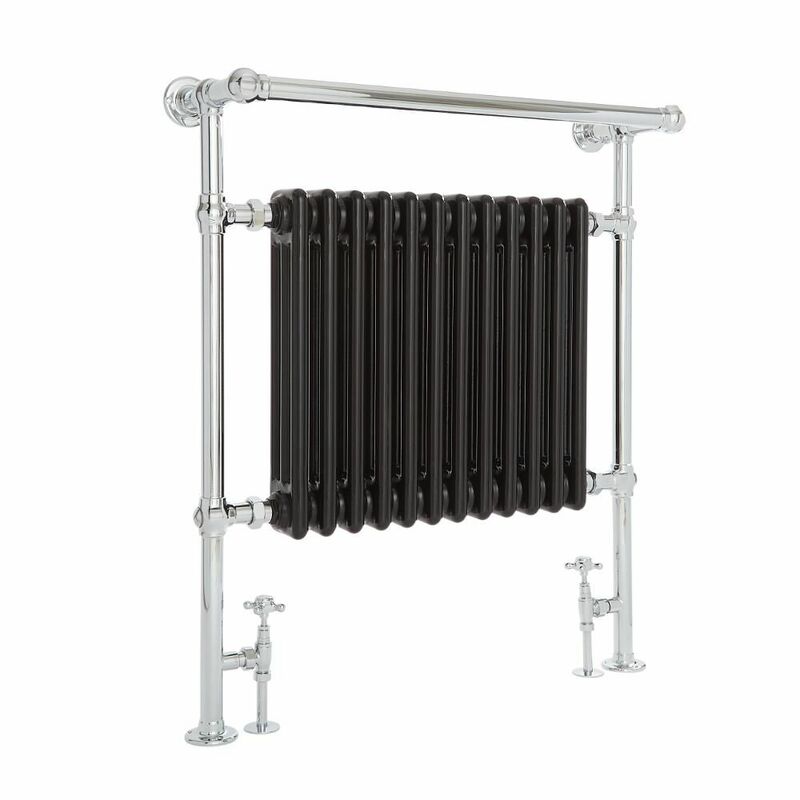 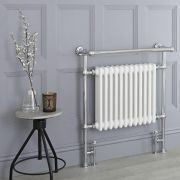 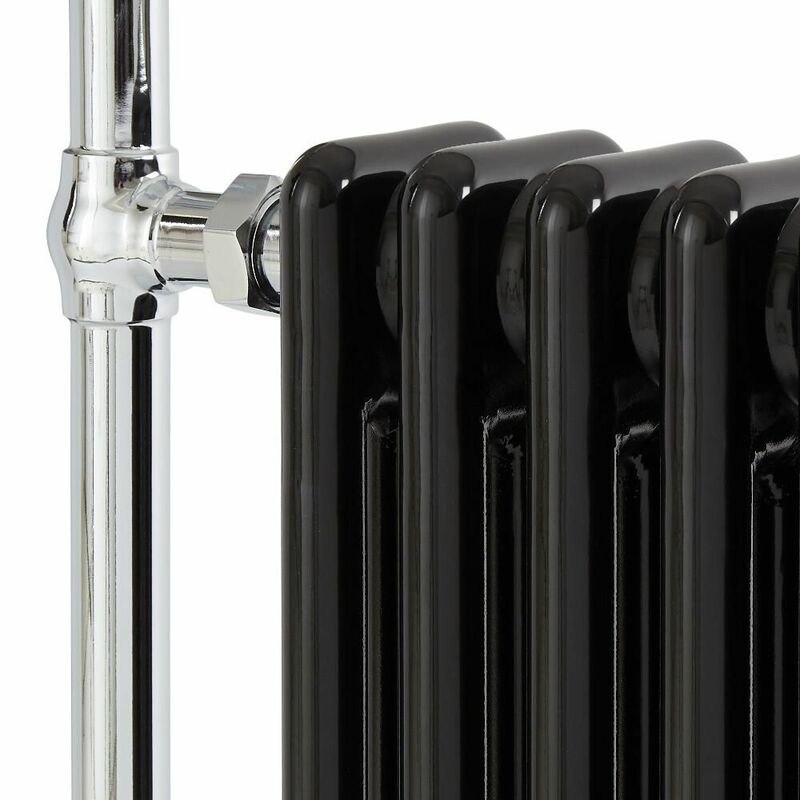 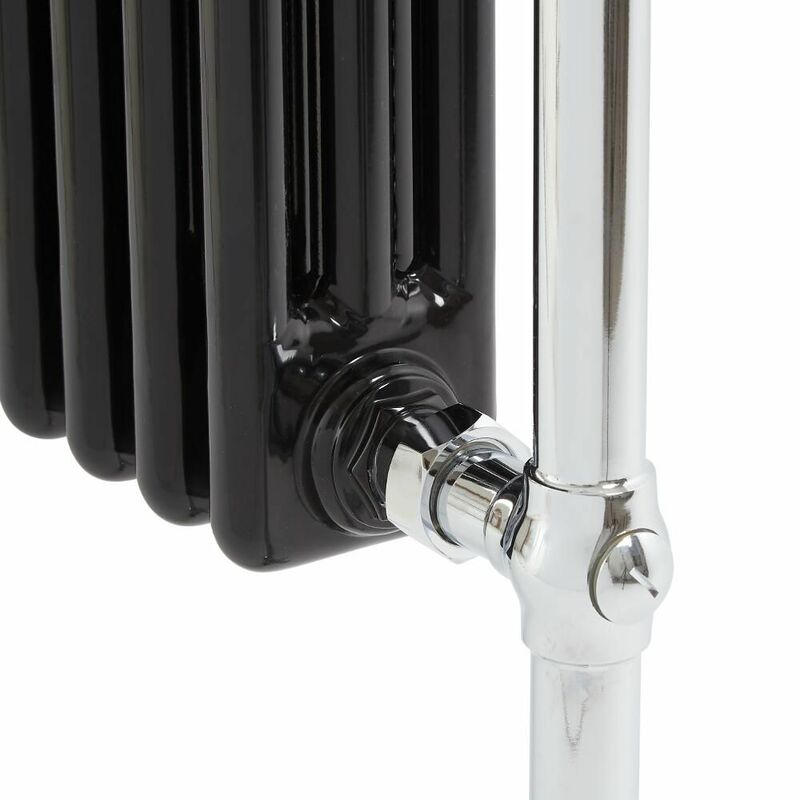 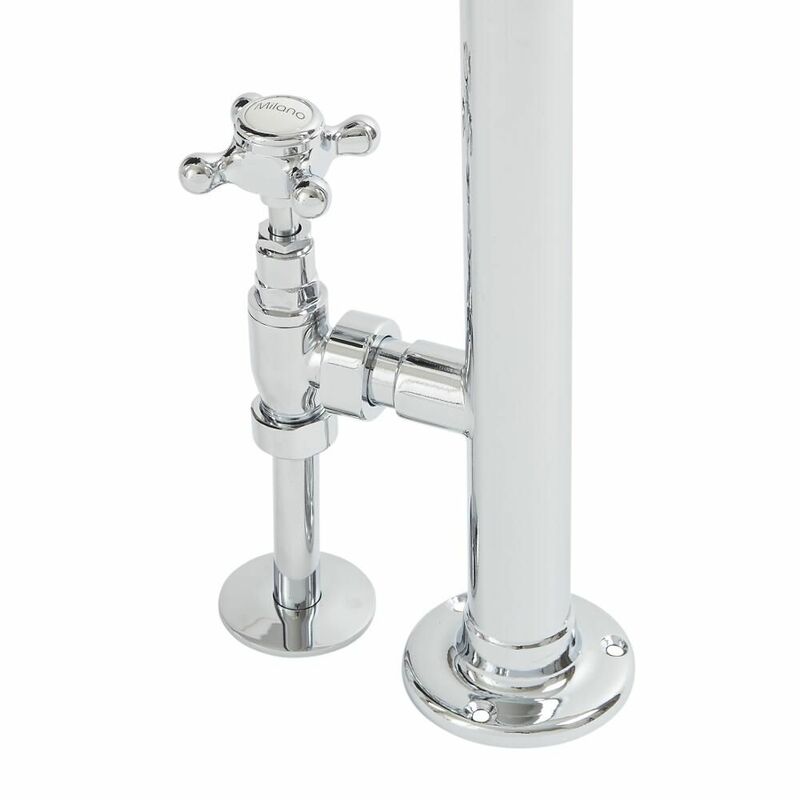 Whether your pipes come up from the floor or directly from out of the wall you will require a pair of BigBathroomShop.co.uk angled radiator valves in order to connect this traditional towel rail to your central heating system. 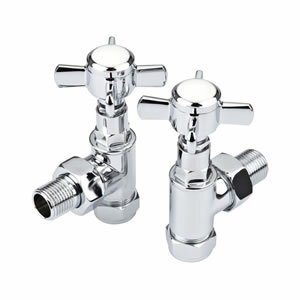 For perfect results we recommend that you choose a pair of angled valves from the BigBathroomShop.co.uk range which can be found in the Essential Extras area of this product page.